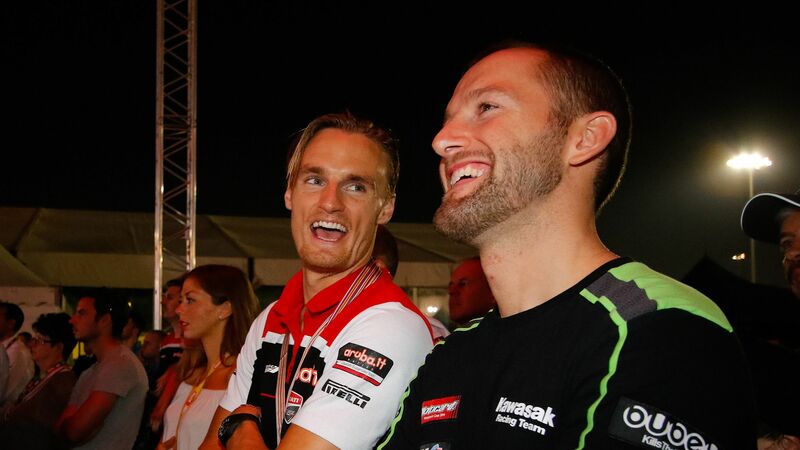 Exclusive to WorldSBK, the Paddock Show is back bigger than ever before. 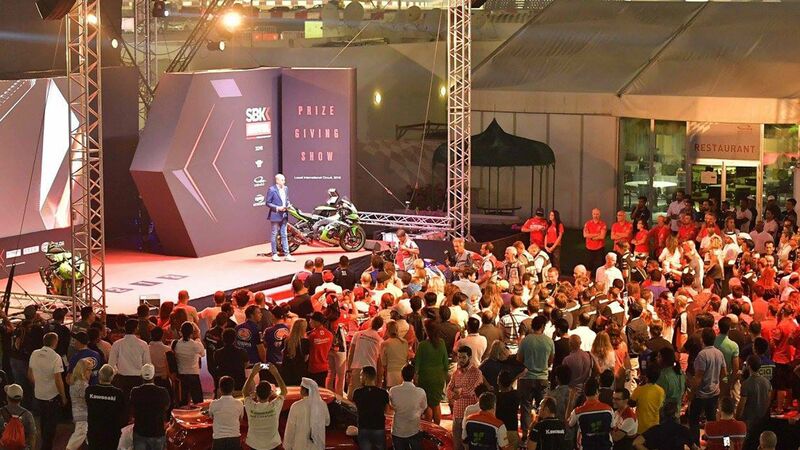 With more opportunity to meet the riders, win official WorldSBK goodies, and an all new SuperShow on Friday. Hours of entertainment involving riders from all classes, you won’t want to miss any of the on-stage action and autograph sessions. More access than ever before - free for all fans! Weather: In November when WorldSBK visits Qatar the weather is stable and warm, with temperatures dropping over the course of the month. At the beginning of the month daily highs are around 32°C and daily low temperatures range from 19°C to 24°C. It can feel cool in the desert at night so pack some layers. Sitting on a peninsula on the northeastern coast of the larger Arabian Peninsula, Qatar is a Persian Gulf country with its sole land border being with Saudi Arabia to the south. Nearby in the Persian Gulf is Bahrain and Qatar also has maritime borders with Iran and the United Arab Emirates. The Arabian peninsula is defined by an ancient desert landscape, with rapidly developing infrastructure and cities changing the dynamic of the region in recent decades. 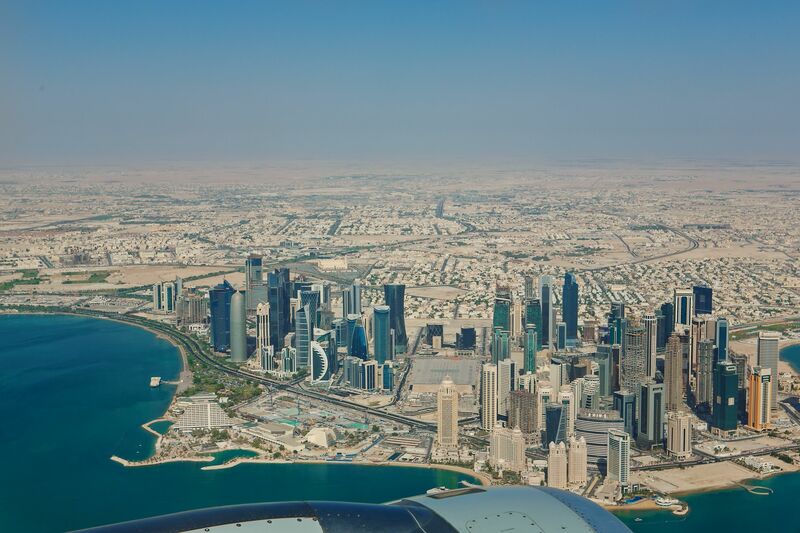 Doha is Qatar’s capital city, lying on the Persian Gulf coast in the east of the country. With an ever-increasing population currently around 1.5 million, Doha is a few kilometres from the Losail International Circuit. It has been recognised as one of the ‘New7Wonders Cities’, with an expanding skyline featuring glittering skyscrapers, in contrast to the traditional Arabic Old Souq downtown. Qatar has been an independent and sovereign State from the early 1970s and has since undergone an immense transformation, having previously respectively been under Bahraini and Saudi, Ottoman and British control. Boosted by significant natural gas and oil reserves the country has the highest per capita income in the world. Population has grown from approximately 111,000 in 1970 to around 2.5 million in 2016, as Qatar heavily reinvests in the future development of its economy. The country has been chosen to host the 2022 FIFA World Cup and will be the first Arab nation to do so. Qatar is constructing nine new stadiums and upgrading three existing grounds for the finals. This is a country moving forward in the fast lane and experiencing the speed of this transformation in person is an exhilarating ride. Really the logical choice for accommodation when visiting the Losail track is to stay in Doha which is just 30km away. Doha’s biggest hotels are fully self-contained resorts in their own right, offering luxurious facilities such as their own private beachfronts, spacious and well-equipped rooms, a choice of up to four or five restaurants, creatively designed swimming pools and cutting edge fitness centres and spas. The capital’s larger hotels are complemented by a selection of downtown options including exclusive boutique hotels and serviced apartments. Four-star hotels are available for a lower budget than the aforementioned five-star luxury accommodation, whilst there are cheaper options still with three-star $55 / €50 per night hotels to be found in the city centre too. 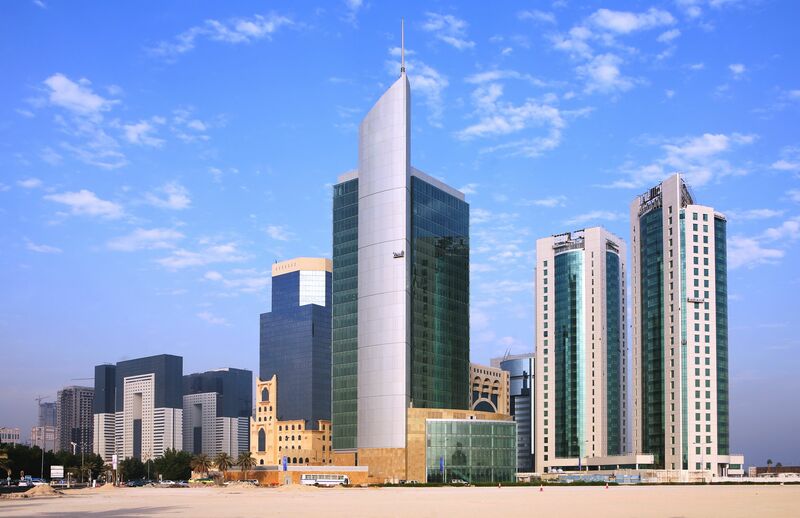 With Doha as your main base there is plenty to do and see in the city and beyond. The Doha Corniche is a good place to start, as you stroll along the waterfront promenade extending for several kilometers along Doha Bay. On the Corniche you can visit the Msheireb Enrichment Centre for an insight into Qatar’s culture and heritage. On the other side of the bay you will also find the Museum of Islamic Art, which was opened in 2008 and is recognised as one of the standout museums in the region, reflecting the scale of Islamic art over three continents spanning 1400 years of history. A large park is located adjacent to the museum building and is a pleasant place to walk and relax in the sunshine. Qatar has become one of the biggest art buying countries in the world and the Arab Museum of Modern Art, also in Doha, reflects this trend, offering an Arab perspective on modern and contemporary art. 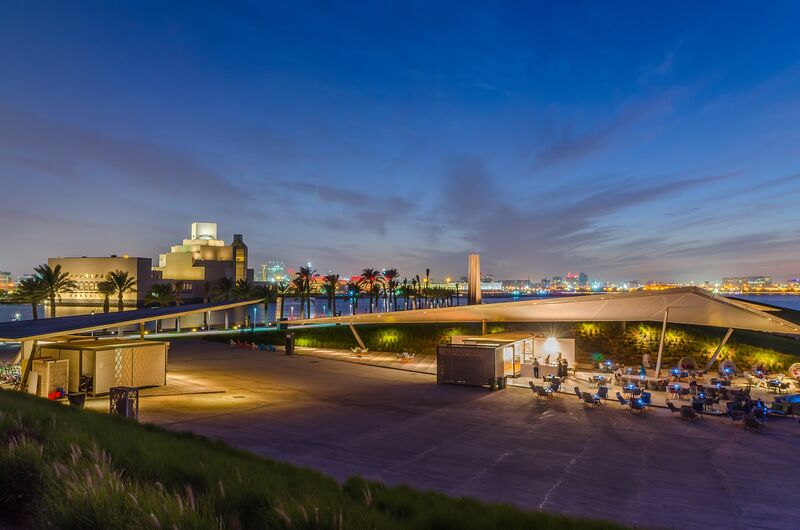 You can also tour the city by double decker bus, taking in all the major sights of Doha, such as the Katara Cultural Village and the Pearl-Qatar marina. Another option is a dhow boat cruise of Doha Bay which provides lovely views of the Corniche and the city’s amazing skyline. Meanwhile, a further experience to enjoy is taking in the atmosphere at Souq Waqif, where there are traditional garments, spices and handicrafts for sale and you can sample Middle Eastern cuisine in the local restaurants. The souq contrasts beautifully with Doha’s ultra-modern and luxury shopping malls where the world’s biggest brands can be found in the numerous chic boutiques. When you are ready to venture outside Doha, try the Camel Races at Al Shahaniya, 20km west of the capital, then head to the Zikrit Peninsula, where there are long sandy beaches, natural rock formations and old ruins to see. On the west coast you can visit the old fort and archaeological site at Al Zubarah, whilst on the east coast the Al Thakira Mangroves and Al Khor city are also interesting places to visit. An evening Desert Safari through the dunes to Khor Al Adaid, the Inland Sea, is a romantic and charming experience and can be rounded off perfectly with a traditional barbeque banquet and overnight camping under the stars in the Bedouin style. In nomadic Arabic societies, desert travellers were always welcomed with food and drink. Communal dining is a tradition in Qatar, whilst the food enjoyed at big celebrations can also be sampled in local and international restaurants in and around Doha. Qatari cuisine has Indian, Iranian and North African influences, with signature dishes including locally caught fish, spicy seafood and meat stews, roast lamb, boiled goat with seasoned rice and locally grown dates. Arabic coffee will also be offered. When it comes to dress code, Qatar is fairly relaxed, but visitors are asked to demonstrate respect for the local culture and customs in public places, so avoid wearing overly revealing clothing. Context is key so beachwear is acceptable if you are lounging by the hotel pool and casual wear will not look out of place whilst you are at the racetrack. Cash machines (ATMs) are to be found throughout Doha and the restaurants and shops usually take credit cards. Keep in mind that the working week for Qataris is from Sunday to Thursday, with many businesses closed on Friday and Saturday. Also it is not permitted to bring alcohol into the country and alcohol is only usually available at international hotel bars and restaurants. A number of WorldSBK riders have claimed their first career win in Qatar, including Yukio Kagayama (2005), double World Champion Max Biaggi (2007), Fonsi Nieto (2008) and Jordi Torres (2015). 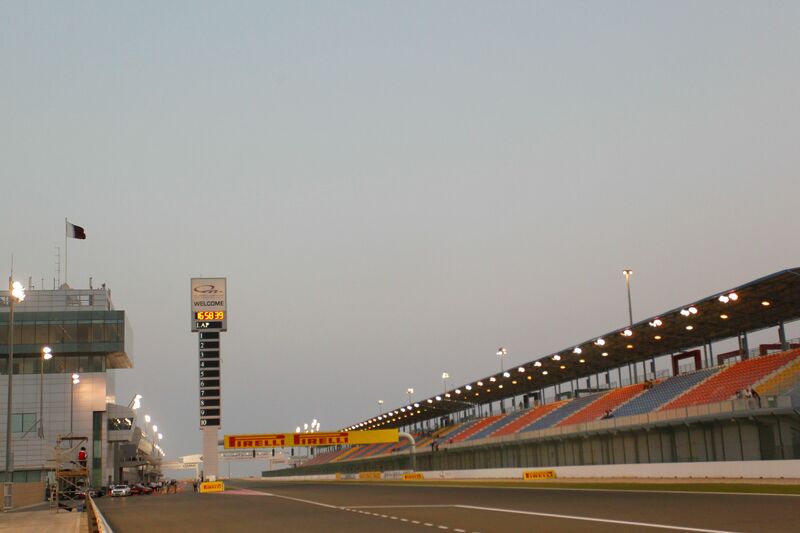 The Losail International Circuit's huge floodlight system was constructed by US firm Musco Lighting, comprising over 1,000 structures, 3,600 light bulbs, 3 million kilograms of concrete and 500km of wire, to light up an area the size of 70 football fields.